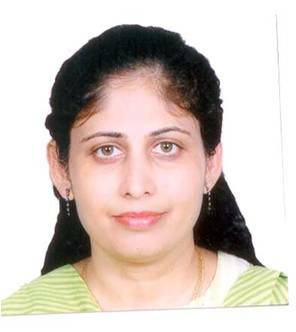 Sarala Balachandran has extensive experience in the area of drug discovery and development, which includes taking up the drug entity all the way through IND to clinical trial. Has worked in the area of synthesis and biosynthesis of several drug entities and other related compounds e g Taxol, Vitamin B12, PDE4, IGF1 inhibitors etc. Also has experience in the area of natural product chemistry. Member of India TB Consortium, which is in continuation with the Tuberculosis work undertaken as Project Director, CSIR-OSDD. A Phase IIb clinical trial was also undertaken with PaMZ in MDR TB patients. NITI Aayog under the Atal Innovation Mission (AIM scheme) has invited interested parties to apply for setting up Atal Incubation Centre (AIC). This project application has also been put forth for funds upto the tune of 10 Crores, sanction awaited. Also, as Head, HR looking after all relevant activities in this area of the Institute. Biosynthesis of porphyrins and related macrocycles. Part 42. Pulse labeling experiments concerning the timing of cobalt insertion during vitamin B12 biosynthesis. Balachandran, Sarala; Vishwakarma, Ram A.; Monaghan, Sandra M.; Prelle, Annette; Stamford, N. Patrick J.; Leeper, Finian J.; Battersby, Alan R.. Univ. Chem. Lab., Cambridge, UK. Journal of the Chemical Society, Perkin Transactions 1: Organic and Bio-Organic Chemistry (1994), (5), 487-91.